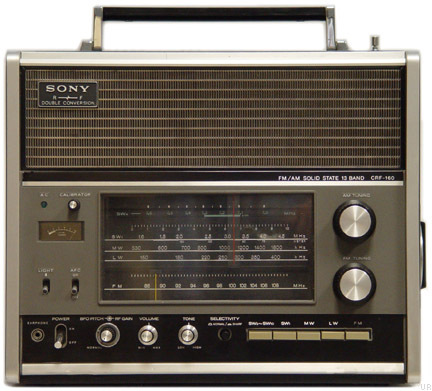 The Sony CRF-160 is a double conversion, analog display 13 band receiver that covers longwave (150-400 kHz), medium wave and ten shortwave bands. It also receives the FM band. 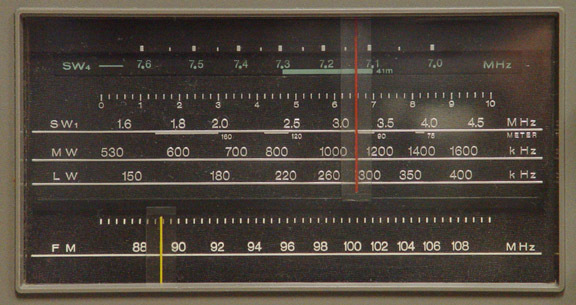 The shortwave bands include: 1.6-4.5, 4.7-5.3, 5.8-6.4, 7-7.6, 9.5-10.1, 11.6-12.2, 15-15.6, 17.5-18.1, 21.4-22 and 25.5-26.1 MHz. 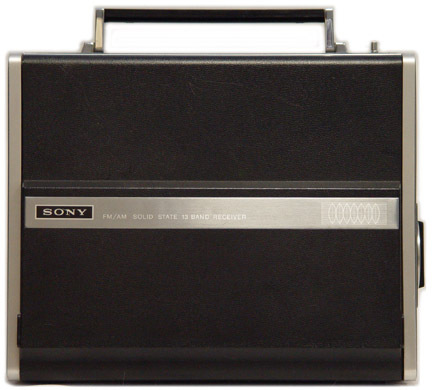 The 3 x 6 inch speaker delivers full sound. 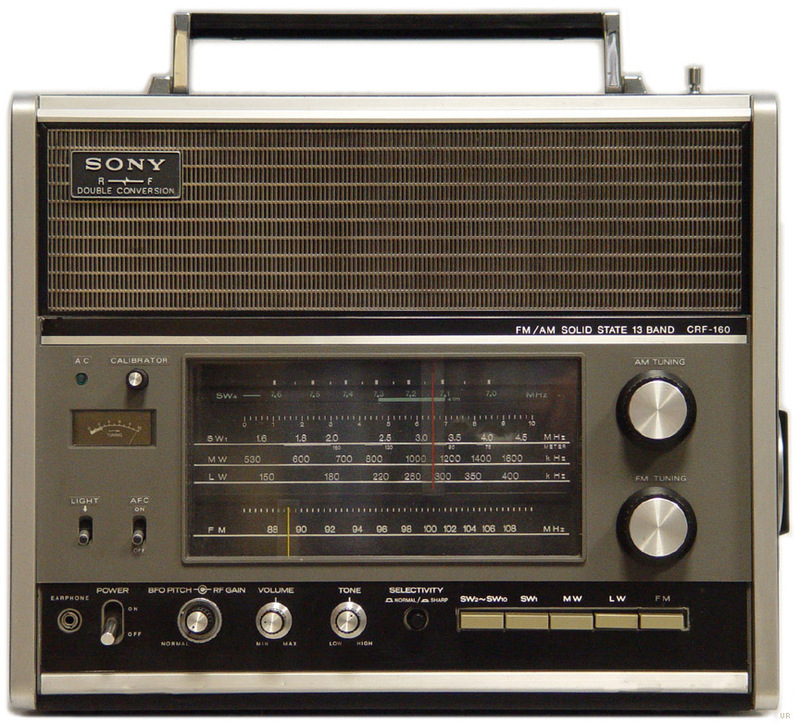 It features separate Bass & Treble controls, dial lamp, S meter, and wide-narrow selectivity. 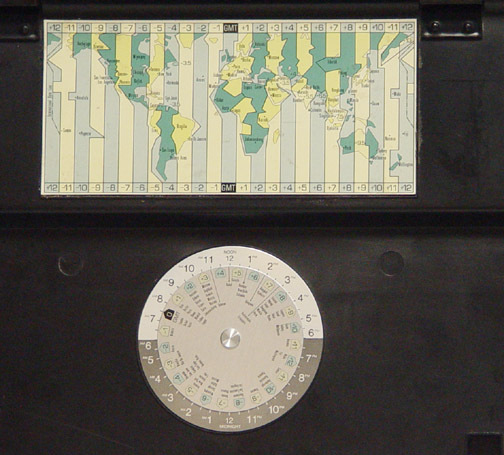 It comes with a removable protective front cover that features a world map and time zone conversion wheel. Operates from AC, six D cells or external 9 VDC. Jacks include: earphone and record output. There are also external antenna jacks. 13.4 x 18.8 x 5.7 inches 15.7 lbs. (340x275x144mm 7 kg). Click here to view larger.